Celebrating a graduation is a once in a life time event. Whether your are graduating from high school or college, you will want to find just the right one. 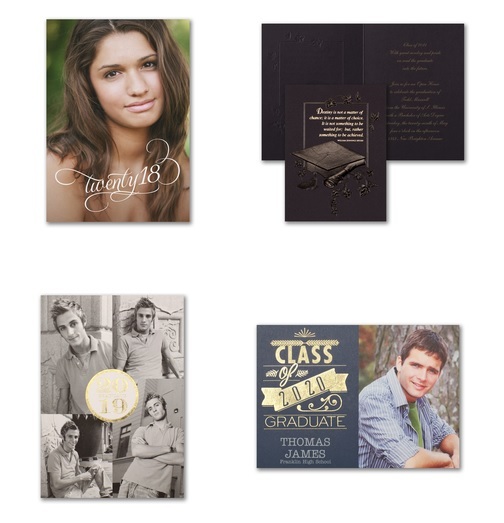 Choose from our large selection of graduation invites and photo graduation invitations with discount pricing for online orders.